Welcome to the first of my interviews with some of Australia's most acclaimed speculative fiction authors. Today we have Rowena Cory Daniells answering 5 questions on Authors and Social Media. How important do you view social media to selling your books or interacting with fans? I really don't know if social media sells books. In fact, I don't know if any kind of advertising sells anything. I do think that people reading your books, then blogging that they've enjoyed them is going to recommend your books to their friends. I am much more likely to read a book that one of my friends has recommended, than a random book that I come across. So social media is great for fighting the writers worst enemy - Obscurity! Do you or would you want to receive any guidance from your publisher/agent on interacting via social media, both in a technical sense or in a 'professional presentation' sense? I don't expect this. I've had a web page since 1999 and I had a book trailer in 2002, when my publisher didn't know what to do with it! My current publisher did advise me strongly to join Twitter, which I thought would be a waste of time because I didn't see how you could say anything useful in 140 characters, but I'm ready to eat my words. I've met some amazing people through twitter and I keep up with what's happening. I find the divide between personal life and professional life, and between professional contact and friend an interestingly grey area. It's a fine line between making a fun comment about some weird thing my kids have done and over-stepping the boundary of their privacy. Also, when working with an editor or agent, you want to be professional - always hand in the books on time, get stuck into edits and return them ASAP. Meanwhile, you're chatting and bantering on Twitter. So it is challenging. There have been some recent examples of inexperienced authors reacting badly on the Internet in response to blog reviews e.t.c., what are your thoughts on being social media savvy? What advice would you give to new authors? I take the attitude that not everyone is going to like my books and that is their right. If I agonised over every quibble people have - (one reviewer said the prose was simplistic, but for some reason they couldn't stop reading. LOL. I can live with that) - I'd go crazy. Rule one, don't take yourself too seriously. Rule two, don't take anything a reviewer says too seriously. Rule three - never respond to a bad review. 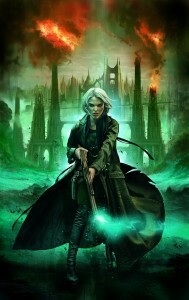 Rob Will Review named my trilogy one of his top reads for 2010. So I emailed him to thank him. In my experience Social media breaks down normal communication conventions. People can be more familiar and 'take liberties'. Have you experienced problems where this ease of communication has lead to followers/fans 'crossing the line' or has your experience been entirely positive? I'm lucky, my experience has been entirely positive, but I do try to maintain a little distance between my private life and my public life. And I also try to maintain some professional distance with my editors and agent. How vital is social media to the genre in which you write and how do you think social media will effect the way you write and interact in the future? I am SO grateful to social media for putting me in touch with the readers and other writers. Everyday it makes me smile and reminds me I'm not alone in the crazy business! I can see social media growing the contact between writers and readers. The more the better! I’d like to thank Rowena once again for spending the time to answer my questions. You can find Rowena at her King Rolen’s Kin site, or at the Ripping Ozzie Reads blog. The King Rolen’s Kin trilogy can be found in good bookstores and on Amazon in paperback . If you can’t bare to miss out on my adventures you can subscribe to the blog through a reader or Follow me on twitter. So drop in and say hi. Realmshift by Australian author Alan Baxter is available as an ebook and in print from Gryphonwood Press. This review is based on an epub version presumably generated by the Smashwords meat grinder. I read Alan's Blog and converse with him regularly on twitter. When he asked for reviewers I put up my hand as , Realmshift falls within my reviewing guidelines ie Australian Speculative Fiction. So this book is a review copy provided free of charge. Isiah is a centuries old servant of The Balance (a nebulous entity that entrusts tasks to Isiah), a mix of Highlander's Connor McLeod and an avenging Angel. In Realmshift Isiah must ensure that certain events happen, that certain characters meet, interact and in one case kill each other. This seems easy enough considering the super powers Isiah seems to possess. To throw a spanner in the works though, one of these people, the evil Samuel has gone and sold his soul to Satan and Satan has come collecting. Isiah must rescue the soul selling Samuel from the torturous pits of hell and set him back on his predetermined path. Samuel was previously of the belief that if he can reach the site of a recently discovered Mayan Crystal Skull, then he can claim immortality and avoid Satan's soul collecting indefinitely. This means that his path will cross with Katherine Bailey a journalist investigating the skull, whose destiny is to go on and save an indigenous tribe, and thereby the rainforest and prevent a huge ecological disaster. Samuel's part was to run into Carlos Villalopez, a crazed Mercenary, and prevent him from killing Katherine. I wanted to like this book. It has elements I enjoy - theological thriller mixed with archeological adventure. Unfortunately there were a number of issues with the story that prevented me from enjoying it. Alan sent me the ePub version which I have viewed on both my SONY PRS 505 and Adobe Digital Editions on my laptop. On both devices the font size would alter within the same page for no apparent reason, although it did seem to be limited to paragraphs or dialogue. This does not appear to be the case for those who have read it via the kindle. This was a minor issue. More of an issue was the lack of section breaks. With a paperback or printed book you can get away with a couple of hard returns to signify a scene change within a chapter, this doesn't seem to work in eBooks and Realmshift is not the first book I have come across with this issue i.e. a section break not being apparent. I find it interrupts the flow of reading and dumps me, as the reader, right out of the story. Particularly when its not clear that the author has changed to another character/scene in a different time/location. I think the best solution is to insert a symbol(like an asterix or hash) to signify the break. The one issue that really did scuttle my enjoyment was the the early revelation of the plot - what needs to occur for Isiah to be triumphant. This coupled with the fact that Isiah is such an all powerful character meant, that as a reader I was never really in doubt that he would succeed - there was for me, no tension, no fear for any of the characters. Now it could be said that the vast majority of fiction is the hero always triumphing or succeeding, in our best stories, however, an illusion is crafted that places the characters or someone close to them in danger(some nasty authors even kill their darlings). There was no tension in this thriller, anything of real value to Isiah had already been lost and I felt that even if he failed in this task he wouldn't be too worried. So with the main character not at risk, and a bit annoyed at being at the beck and call of The Balance I began to feel blasé as well. For a thriller this story moved too slowly for me. I attribute this to a couple of factors - in tone it was more Noir, the start was broody and atmospheric, which is fine to a point, but I felt the atmosphere building was overdone and got in the way of fast paced action. The second was the metaphysical pondering which verged on the point of preaching(not in a literal sense, perhaps lecturing is a better word for it) through dialogue . It was the wrong place, in my opinion, for that sort of conversation with the reader. I think it would have been better to cut all metaphysical discussion, that wasn't essentially illustrative of character and let the reader think come to their own conclusion about the metaphysics. Where the story did work for me( I noticed a palpable shift in my attention and immersion) was at the dig site. Here I thought to myself, was some mystery, for the first time I was curious about what might be in store of the characters and the reader. There was a real chance that the characters could be threatened - without a supernatural figure to rescue them. Unfortunately the story didn't pan out that way. Baxter has, I think attempted a too much with Realmshift and in trying to fit everything he wanted to the story has left me feeling as though it's forced. I think he needed to stick with Isiah as a central character and really put him in danger, make the reader fear for his safety. I wanted to, but couldn't bring myself to like this book, no matter how hard I tried. From the blurbs and reviews available on Amazon though, it seems that there are plenty who do like it. My advice is to download the sample from Smashwords or Amazon and try it for yourselves. I will be reviewing the sequel Magesign by the end of the month and it will be interesting to see how Alan's writing has developed. Early indications are that Magesign contains a bit more suspense. Did you enjoy this review? Would you like to read more? You can subscribe to the blog through a reader or Follow me on twitter. The automatons working hard over at Angry Robot have released the cover art image for Trent Jamieson's steampunk novel Roil due out later this year. The artist is Angelo Rinaldi whose portfolio can be found here. You have until tomorrow(Monday) to take advantage of AR's price drop on Lauren Beukes Zoo City which has recently been nominated for the Arthur C Clarke award. Twelfth Planet Press (TPP)have organised another Goodreads giveaway. 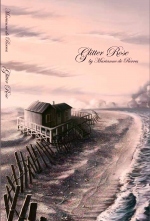 This time they are offering Marianne de Pierres' collection of short stories titled Glitter Rose. All you have to do to enter is register on Goodreads and click a button. Follow this link to get to the competition page. Glitter rose is a first from TPP, being their first attempt at a hardcover. And from all reports the end result is stunning. This hardback printing is a limited edition print run signed by the author, well worth getting ones hands on. It contains five short stories and has black and white illustrations throughout. The Glitter Rose stories are set against the background of Carmine Island (an island reminiscent of Stradbroke Island, Queensland) where a decade ago spores from deep in the ocean blew in, by a freak of nature, and settled on the island. These spores bring fierce allergies to the inhabitants of the island. And maybe other, more sinister effects. As we follow Tinashi’s journey of moving to and settling into island life, we get a clearer picture of just what is happening on Carmine Island. Glitter Rose is named after the glitter rose dusks that happen at certain tides on the island – when the last of sunset has fallen, a strange phosphorescence can be seen on the sands of the beaches. Colourless at first, it rapidly changes to a “carpet of tiny, shining, rose-coloured grains” as the sky darkens. 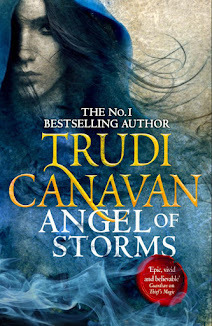 Two of Australia's top female speculative fiction writers have books being released today. 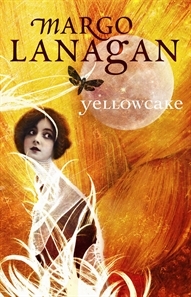 Margo Lanagan's Yellowcake is available in paperback, published by Allen and Unwin. Yellowcake features 10 original short stories and follows up on earlier collected works Red Spikes and Black Juice . No news of an eBook yet, but most of her other work has become available in that format, so it's a matter of patience. The second title is the much anticipated Burn Bright by Marianne de Pierres. 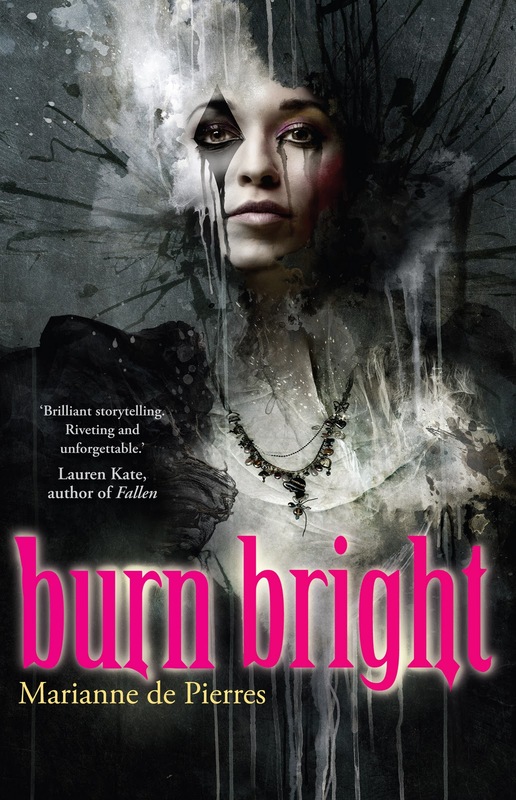 It's a rather dark YA offering. For ARC reviews check out this page. Quite a few of you will have heard the news of Shaun Tan and Andrew Ruhemann's Oscar win for Best Animated Short. A preview of their 15 minute long animation is below. You may not be able to tell from the short but the voice of the main character is that of another famous Aussie and curiously a graduate of the same university - Tim Minchin.